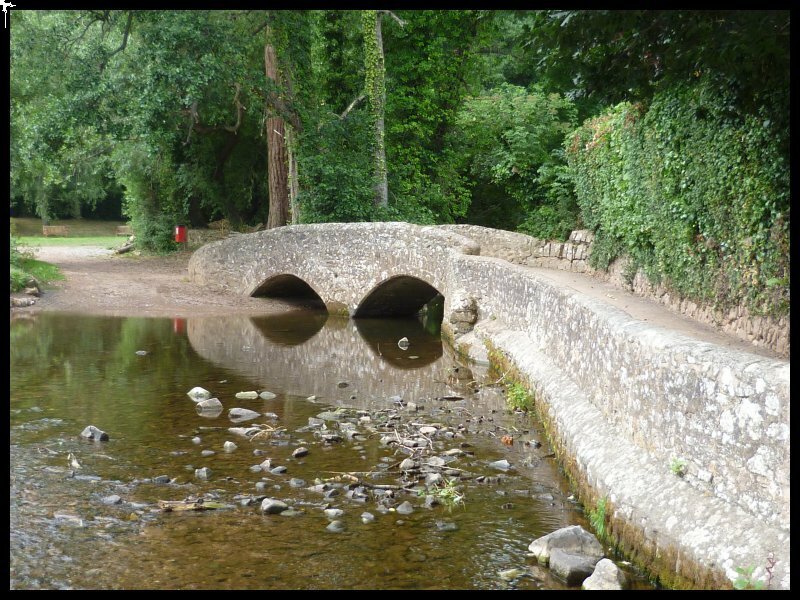 Several weeks ago as I was browsing my maps and looking for an area to visit, I thought it might be interesting to go back to Somerset where nearly 70 years ago I spent more than two years of my youth as a soldier. As I remember it, Yeovil was a small market town where after leaving the train station, you were very soon walking along country roads with fields on either side. After walking for a mile or so through the countryside, you arrived at two huge army camps, one on each side of the road. To the right was Houndstone Camp, an RASC depot where new recruits were sent on a six week course to become qualified truck drivers. The other camp on the left was Lufton Barracks where the permanent staff for the base lived. I had already completed my basic training at Aldershot when I was posted to Lufton to work in No.20 Company Workshops whose job it was to maintain 200 Bedford trucks and Humber staff cars. But what I didn’t expect were so many changes. Gone are the army camps. In their place are sprawling trading estates, an Asda superstore with filling station, and a crematorium with its surrounding grounds. Gone also are the country roads. In their place are dual carriageways, roundabouts and houses. In short, nothing could I find to identify where I’d spent my two years. The Club CL where I’d chosen to stay was on a farm about three miles outside Yeovil. 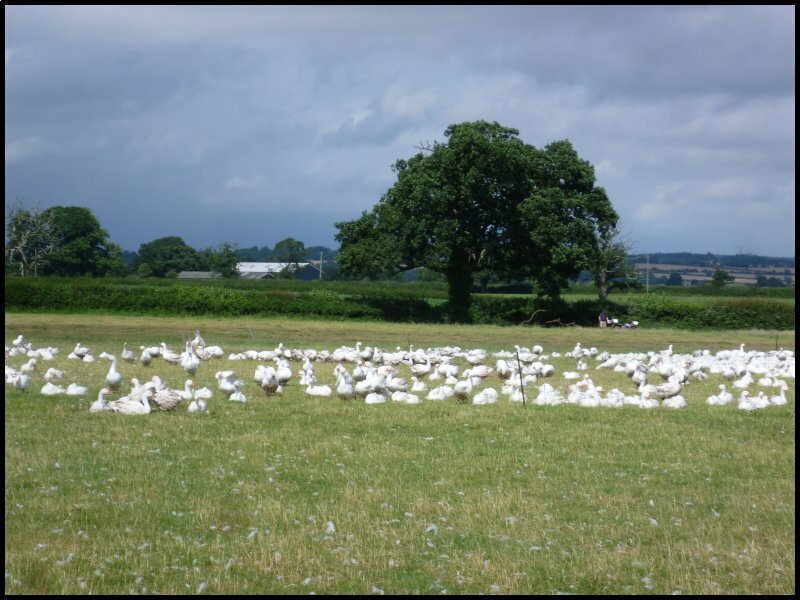 It was an unusual type of farm because its main product was geese, with just a few pigs and even fewer cows. 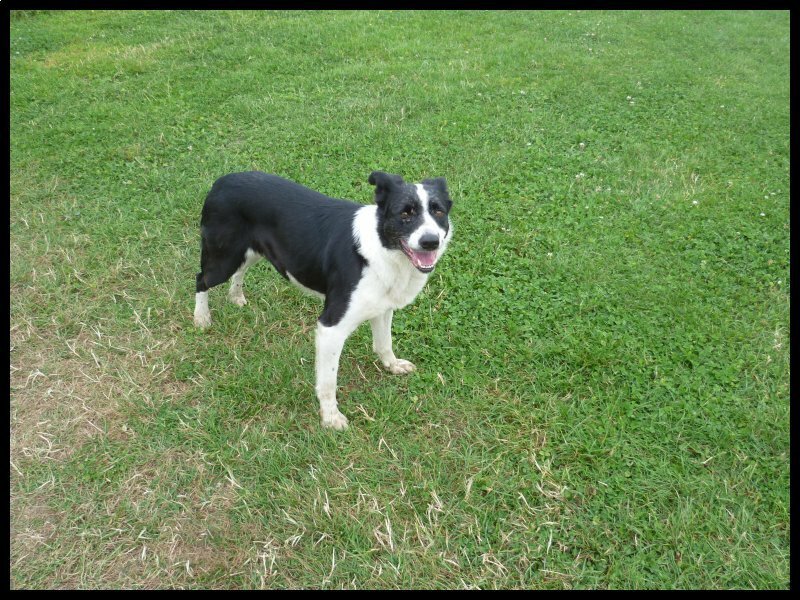 On the site is a farm shop which is open from Tuesday till Saturday, 9-6pm. The area allocated to Caravan Club members is a level rectangular field with one boundary backing on to a country road; another by a railway line and the third by open fields where in the distance can be seen the geese. Closer to are the chicken coops where half a dozen chickens are free to roam. 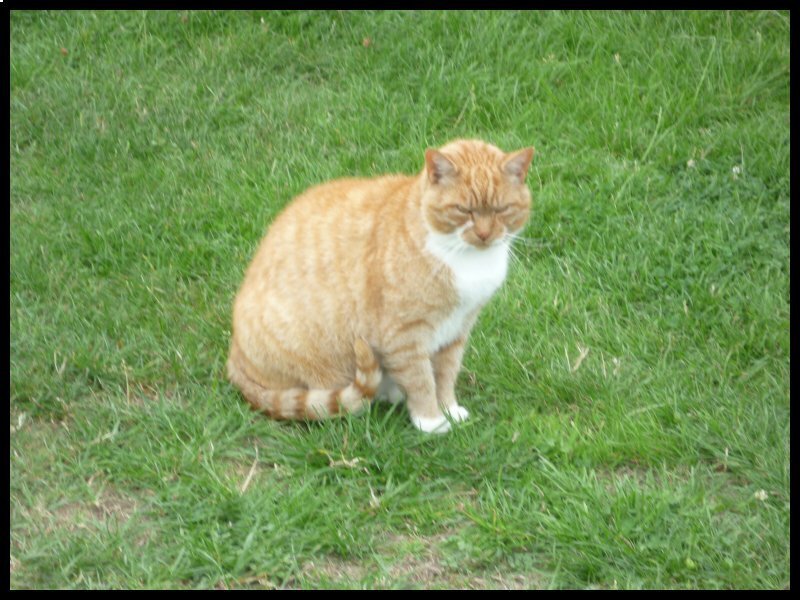 They are frequent visitors to the caravans, as are the farm cats and ‘geese’ dogs. 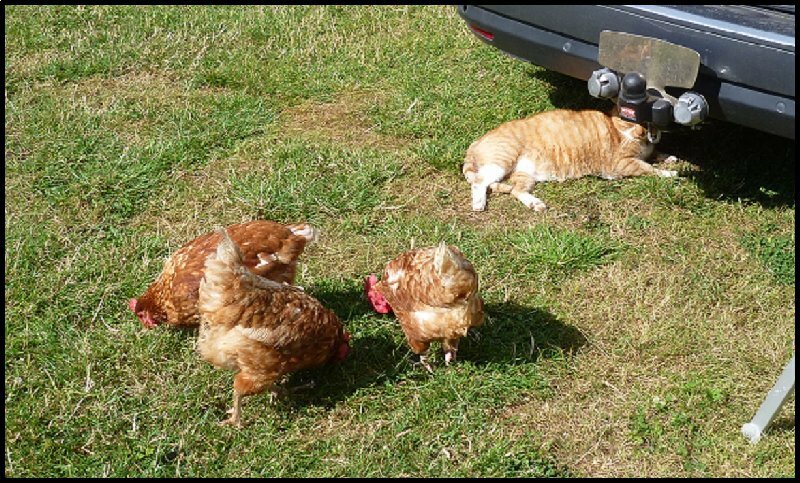 Chickens, cats and dogs happily co-exist without any friction. Water tap, dustbins, recycling and chemical disposal is in one corner of the field. Two toilets are situated close to the farm shop. From home, the journey down to Yeovil was 135 miles so a stop at Stonehenge made a welcome break. 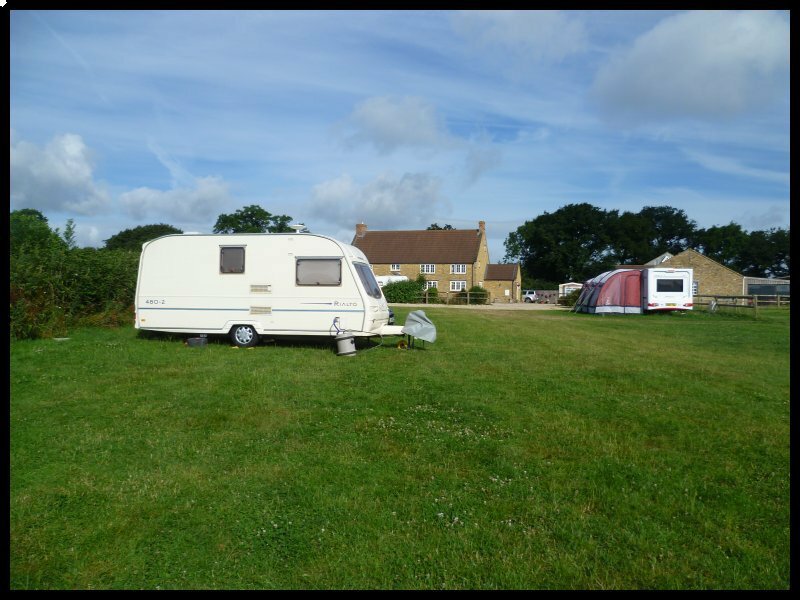 As my caravan outings nearly always begin with a drive along the M25, to avoid the congestion I find it best to leave home early in the morning or later in the evening. Consequently I arrived at Stonehenge just after 9am. Since my last visit eighteen months ago several changes have been made at the site. First – to control numbers, online booking of half-hour time slots is advised. By booking a 9.0 to 9.30am slot I imagined I would be there before the crowds. How wrong could I be? At 9am I found the car park was filling rapidly and the ticket offices were already busy – with English voices being in the minority. Secondly – the junction off the A303 at the corner of the site has been closed and grassed over. The road to follow is almost two miles westward going right at the next roundabout. A visitors’ centre has been built together with car parks and from there, visitors can either take a long walk or board a shuttle bus to the stones. 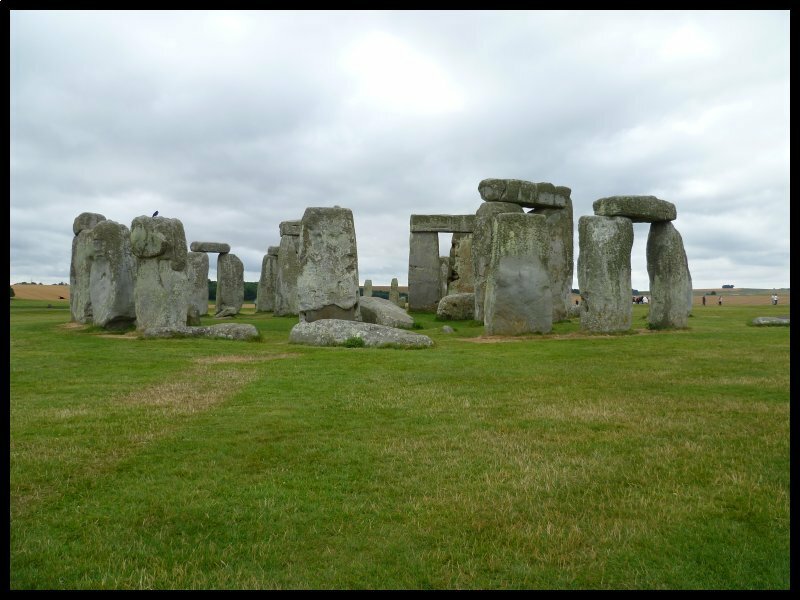 For several years now visitors have had to view the stones from a distance by keeping to a marked pathway around the site. 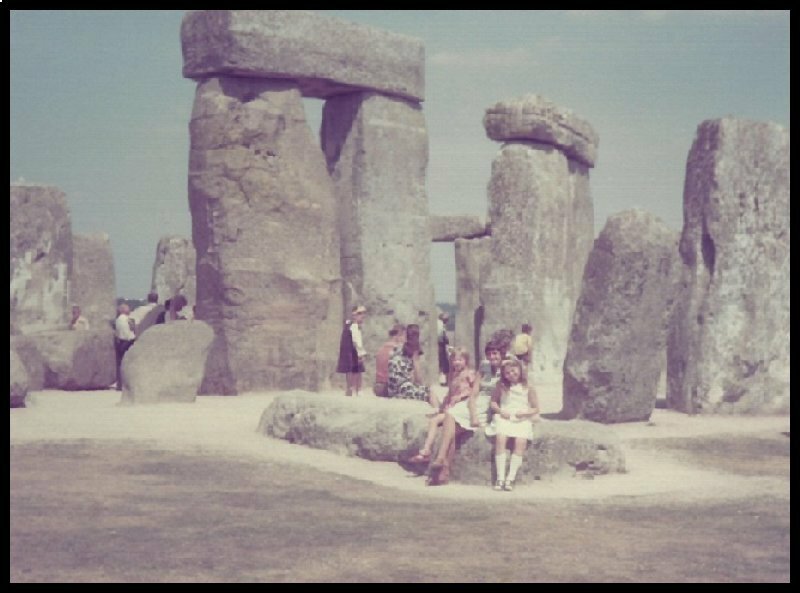 How things have changed since we first visited in 1976. 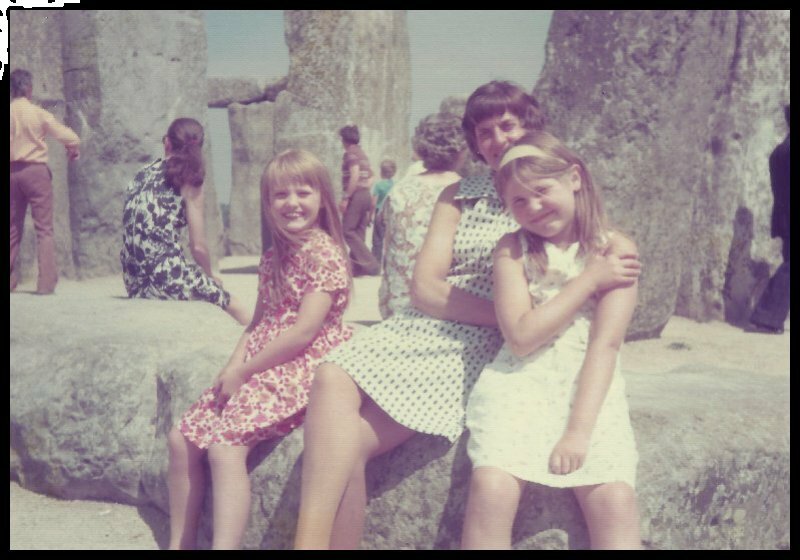 Then visitors paid their 6d entry and were then free to roam and climb over the site at will. Now a family of four will need to cough up more than £40 to enter. By 10.30 I was on my way again, reaching Goose Slade Farm just after mid-day. After settling in and having some lunch, I took a drive out to find a supermarket and a filling station. I discovered there was both an Asda and a Tesco on the outskirts. 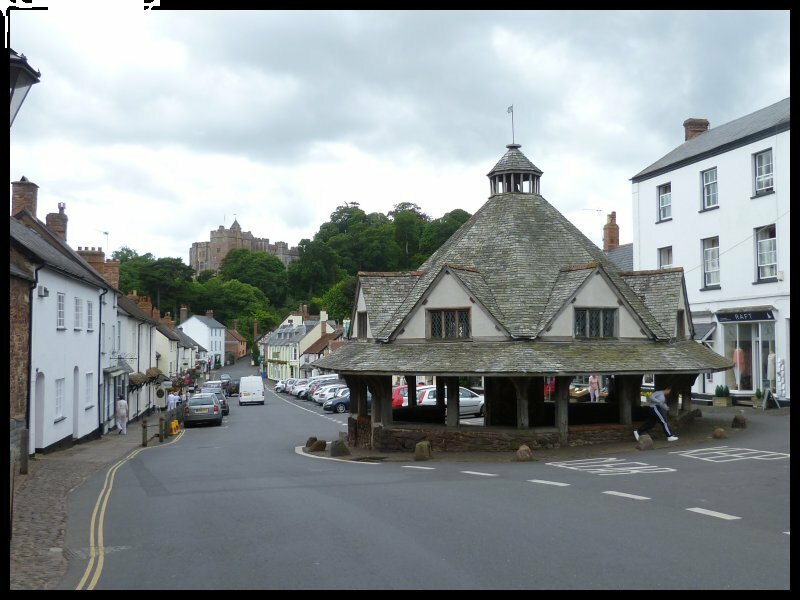 For my first day’s tour I drove directly to Dunster where I found a parking spot in the High Street at the far end of the village. I unloaded my bike and cycled the length of the village. 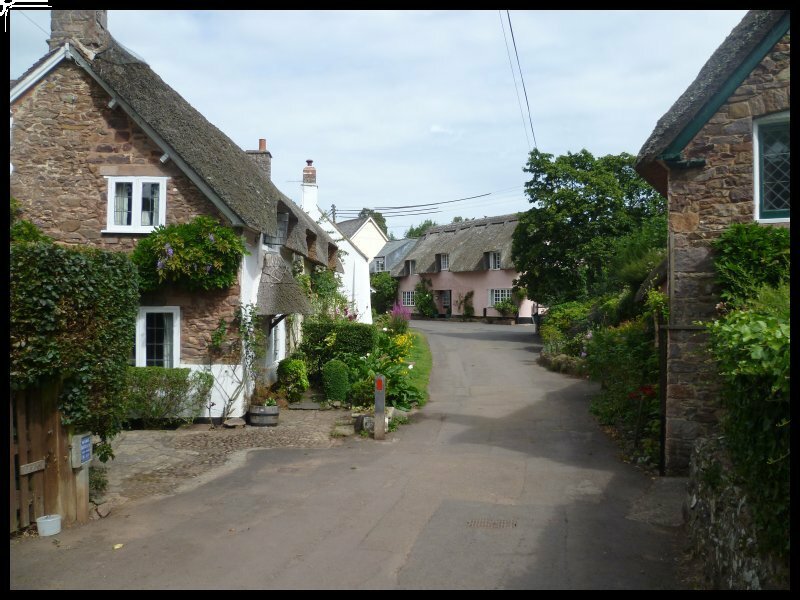 In the Middle Ages Dunster flourished as a centre for the wool trade which was then one of our most important industries. It was the taxes from wool exports which funded the wars. My first stop was at the Yarn Market which still stands in the wide High Street. In the background is Dunster Castle, first built by one of Duke William’s Norman knights shortly after 1066. After three hundred years the Castle and its lands were sold to another Norman family, the Luttrells, who held the district over the centuries until quite recent times. 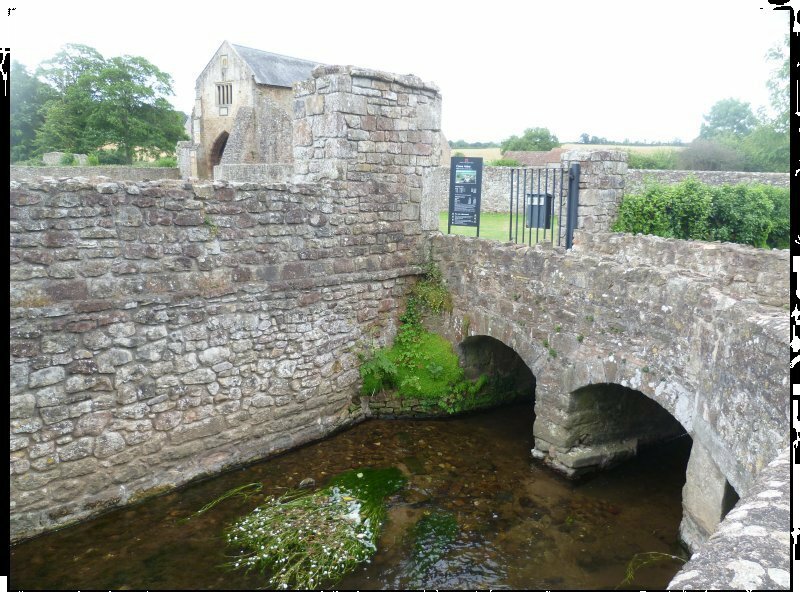 On the outskirts of the village I went to see the medieval packhorse bridge which was at one time the only crossing into the town from the moors in the south. 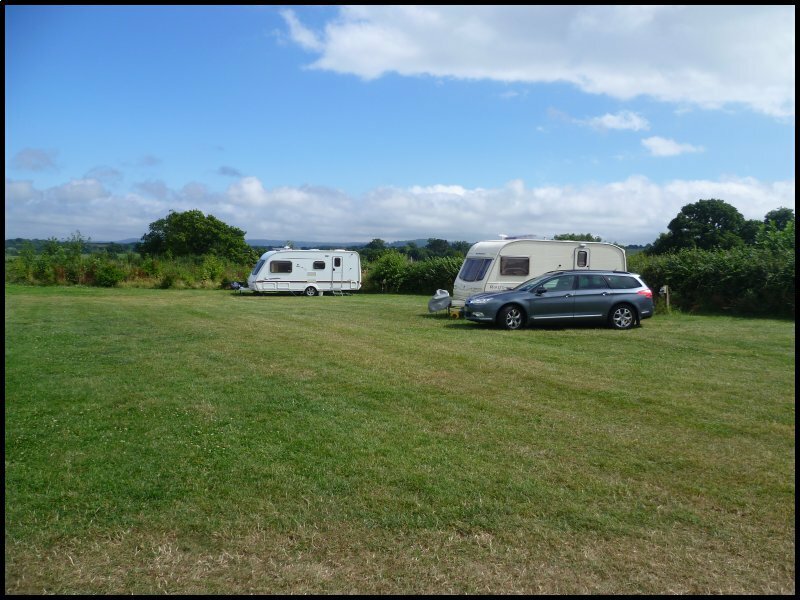 From Dunster, it was only a short drive to Cleeve Abbey where I was able to park just across the road from the site. 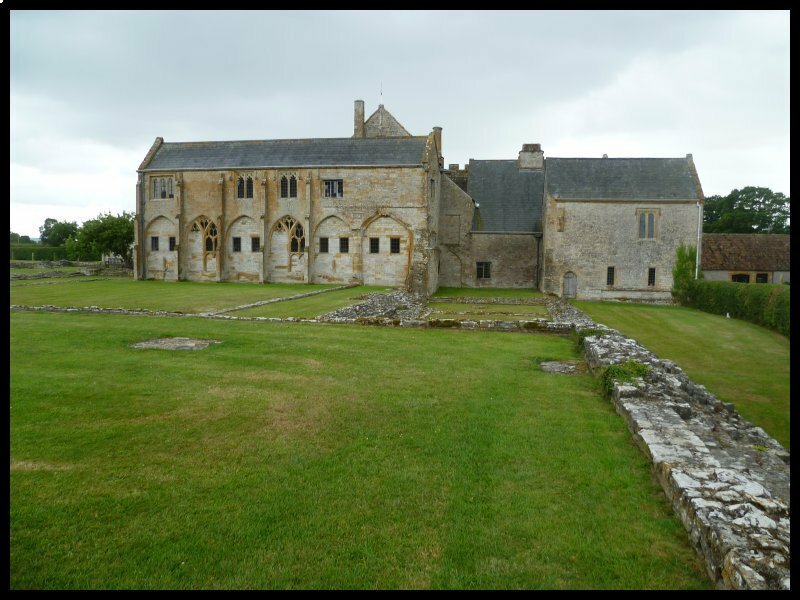 Cleeve was founded in the 12thC by monks of the Cistercian order. The abbey flourished and became exceedingly wealthy until in 1536 Thomas Cromwell persuaded Henry VIII that if the monasteries were closed down, all their wealth and treasures could be transferred to the crown. At the same time buildings and lands were sold off or given to friends at court. 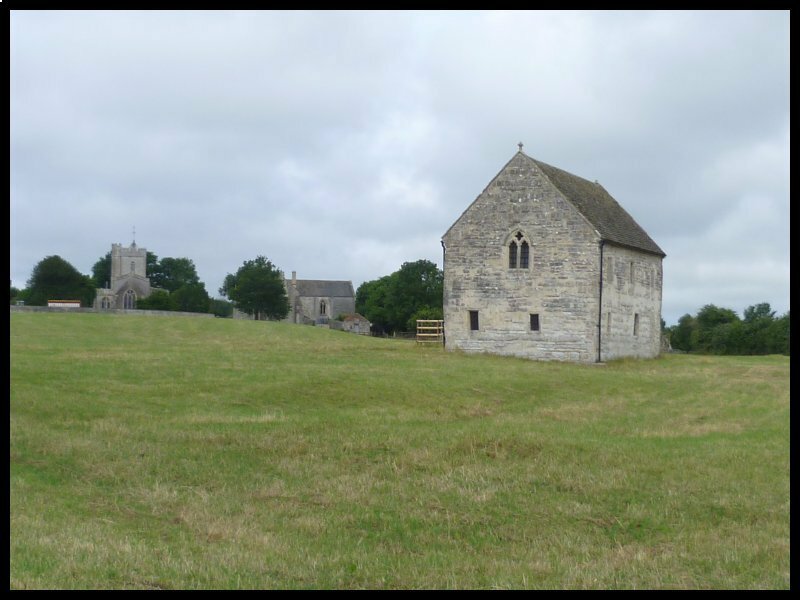 Many beautiful buildings were used as quarries as and when stone was required elsewhere, however at Cleeve whilst the church was quickly demolished, some of the monastic buildings were converted to a country house. 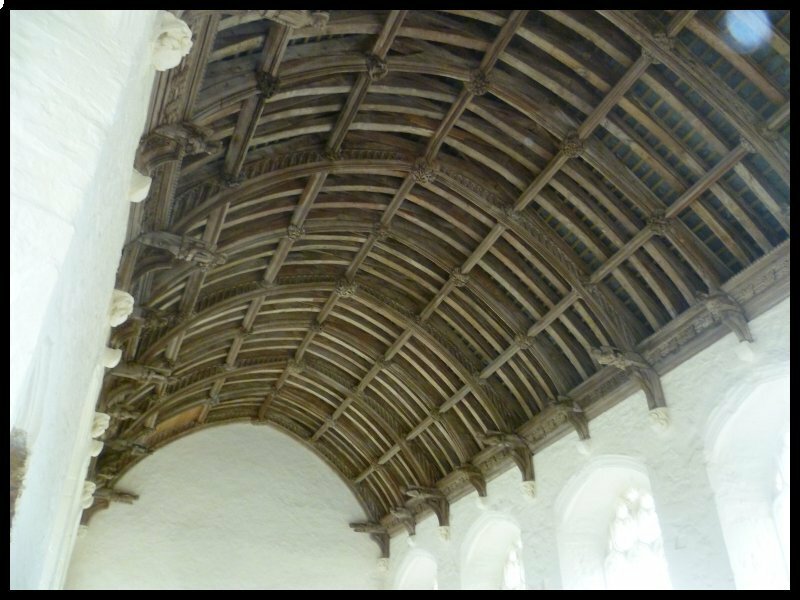 Consequently we can still visit the refectory with its ‘angel’ roof and the monks’ dormitory. There is also the remains of a painted wall panel in one of the rooms. Heading back to Yeovil, I’d planned a slight detour to visit another abbey at Mulchelney. This one was founded by monks of the Benedictine Order but in 1538 the buildings and lands were surrendered by the Abbott to Henry VIII and the whole parcel was given to Edward of the powerful Seymour family – a crony of Thomas Cromwell and the elder brother of Henry’s third wife, Jane Seymour. The Abbott’s house was saved and used but the abbey church was torn down with some of the materials being used in the nearby parish church. But Edward only owned the house and lands for 14 years. He ‘backed the wrong side’, fell out of favour and ended up at the executioner’s block on Tower Hill. All his possessions were taken by the crown. 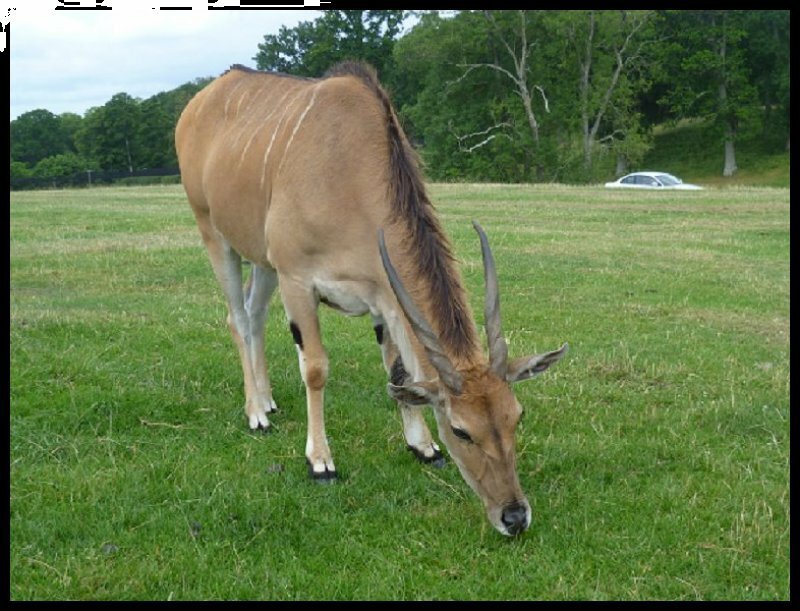 For the Tuesday I had planned a visit to Longleat. From Yeovil it was a drive of around 40 miles. Entry to the House and grounds is an eye-watering £34 a pop but I’d previously applied to use some Tesco vouchers on their Days Out Scheme. I therefore made my booking online before I left home. 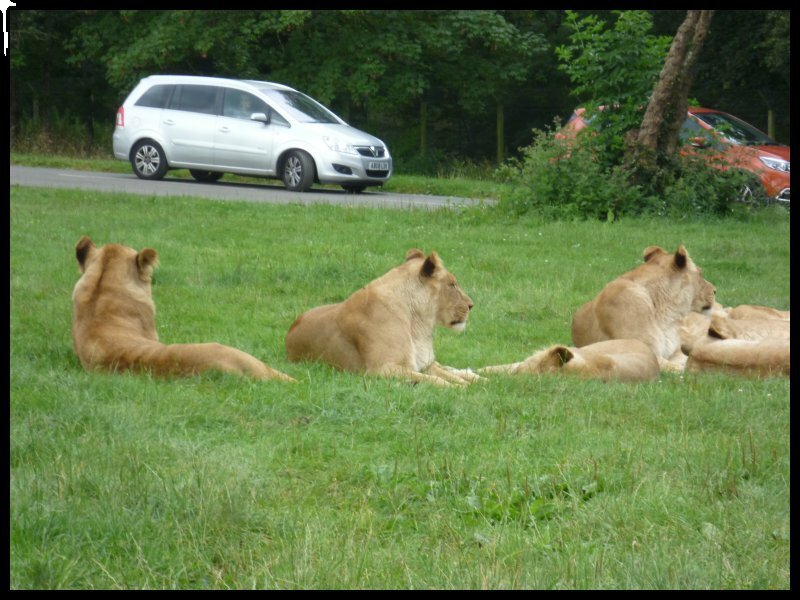 I arrived shortly after opening at 10am and in due course joined the convoy of cars driving through the safari park. 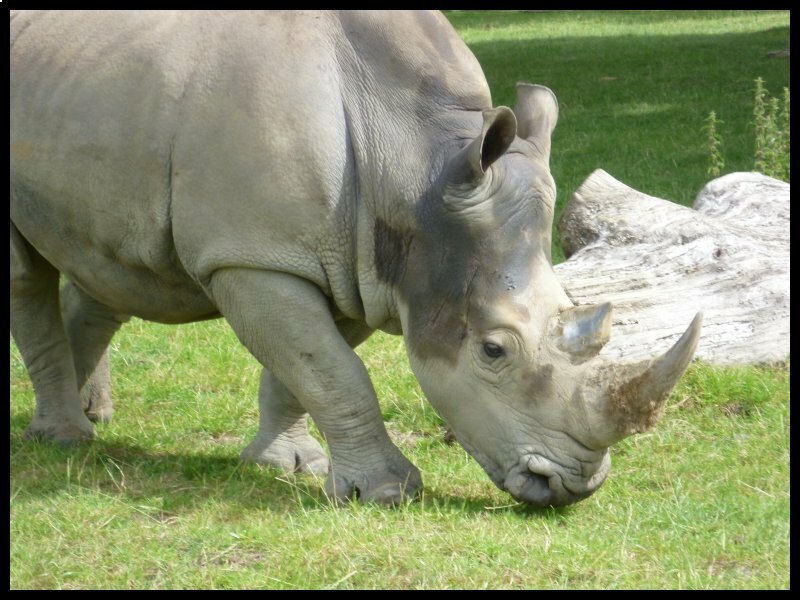 The animals live in enclosures which are kept secure by double pairs of electronic gates. 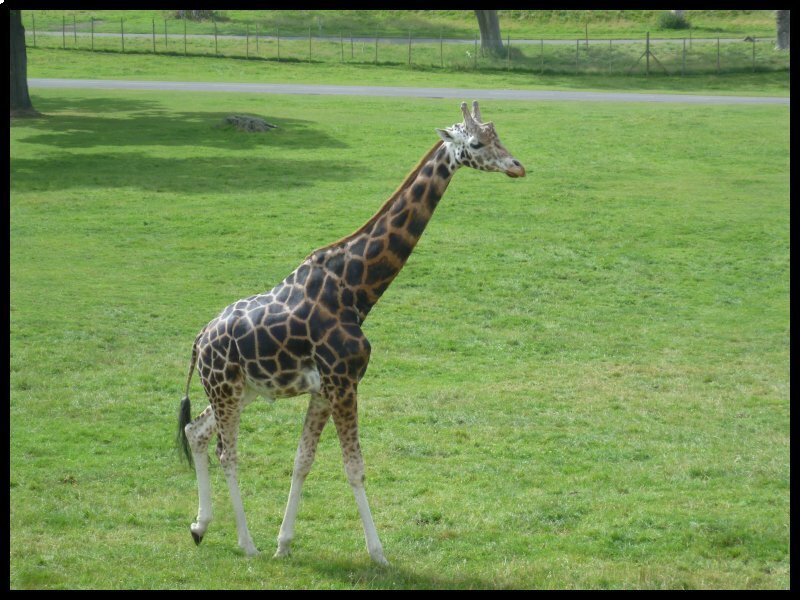 So in the first enclosure are the zebra and giraffes. Next comes the monkey enclosure. 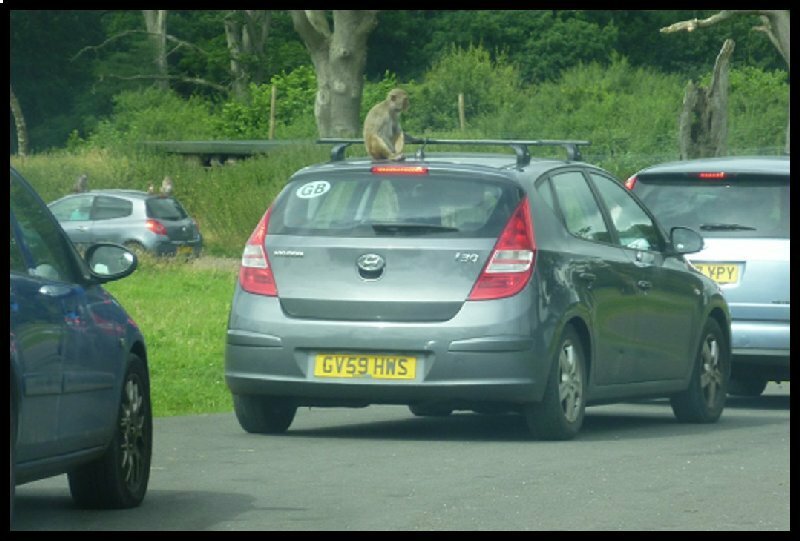 With monkeys climbing on to parked cars it’s inevitable that some cars become damaged. Within a few minutes I saw one car have it’s aerial snapped off with the monkey gleefully tugging on the broken aerial to pull out the wiring from the roof. Another monkey jumped up from the road, grabbed a car’s rear wiper blade and swung on it until the blade pointed down to the road. Next came the ‘big cats’ enclosure and camels. Eventually I returned to the car park and worriedly inspected my own car. Mirrors, wipers and aerial all seemed intact. 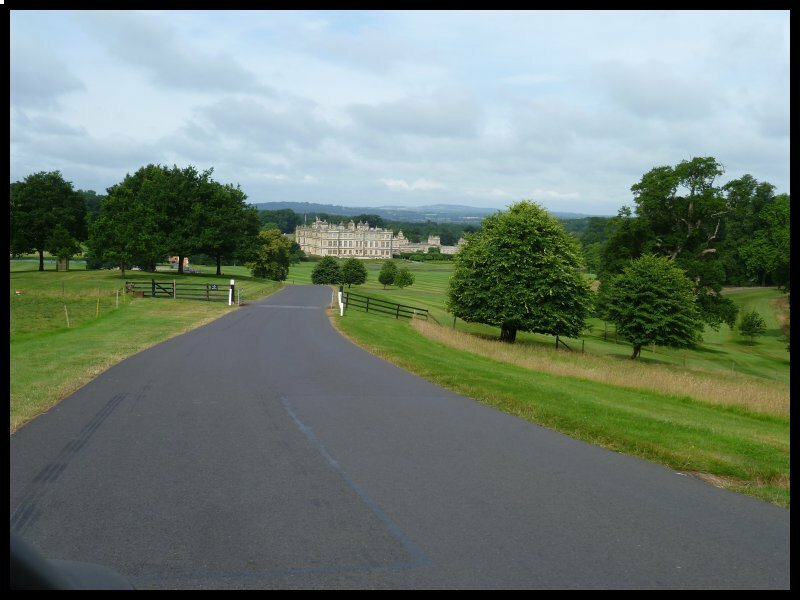 After a walk around the gardens and a stroll around the interior of the house (where photography was not allowed) I returned to my car and at 2.30 set off for Shaftesbury. I found a parking spot close to the bottom of the hill and set off on the climb. With several stops at some well-placed benches, I finally made it to the top. Once at the top of the hill the streets are level and with a park overlooking the vale below there are some grand views. 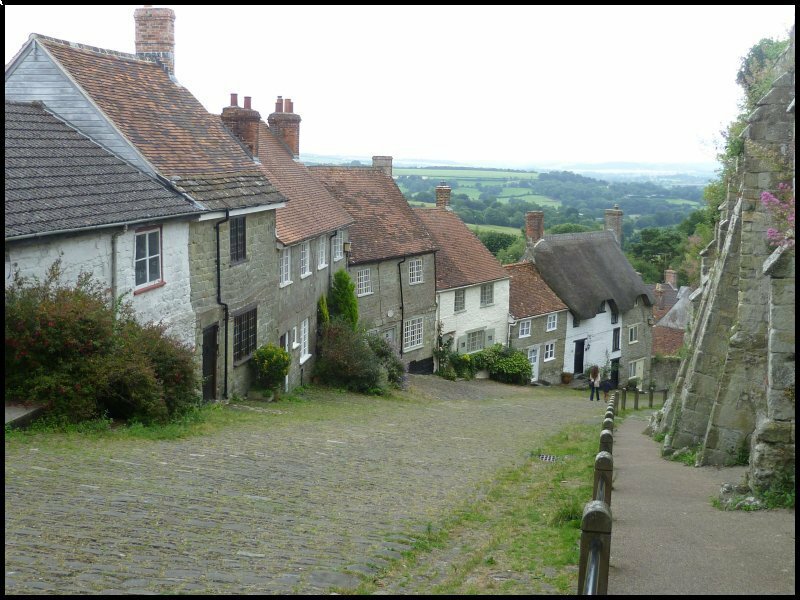 Adjoining the park is the site of Shaftesbury Abbey, a Benedictine nunnery founded by King Alfred in 888AD. He appointed his daughter as the first Abbess. 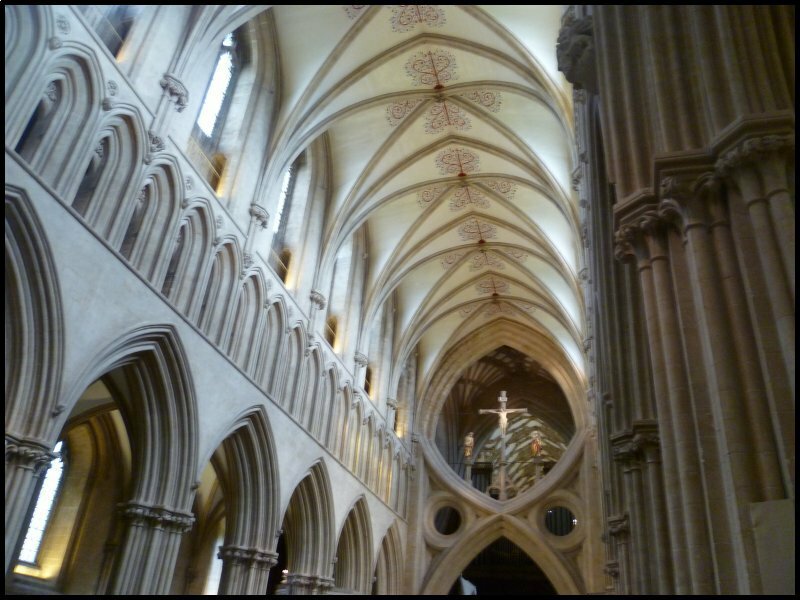 Once the Abbey received the relics of St Edward the Martyr, it became a major site of pilgrimage, eventually making it one of the richest nunneries in England. King Canute was staying here when he took ill and died. 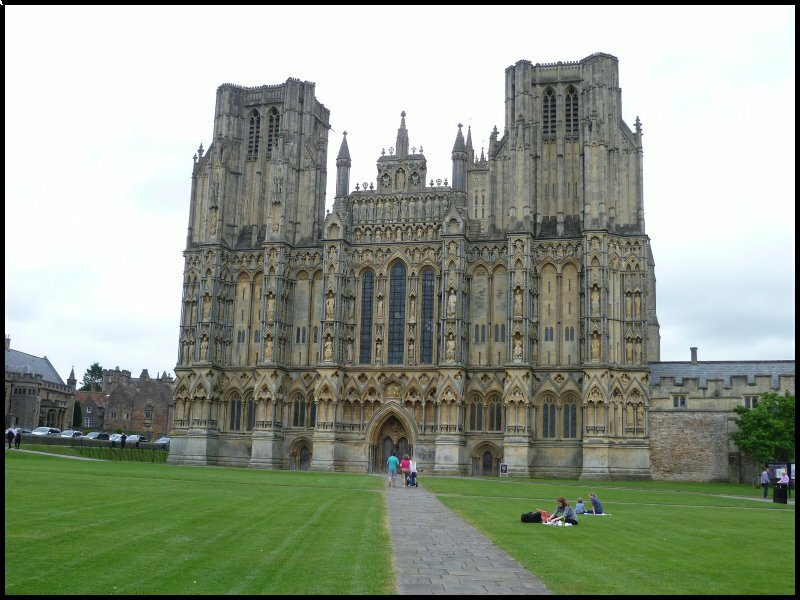 Finally, following the dissolution of monastic buildings in 1539 the Abbess signed the deed surrendering the Abbey to the crown. 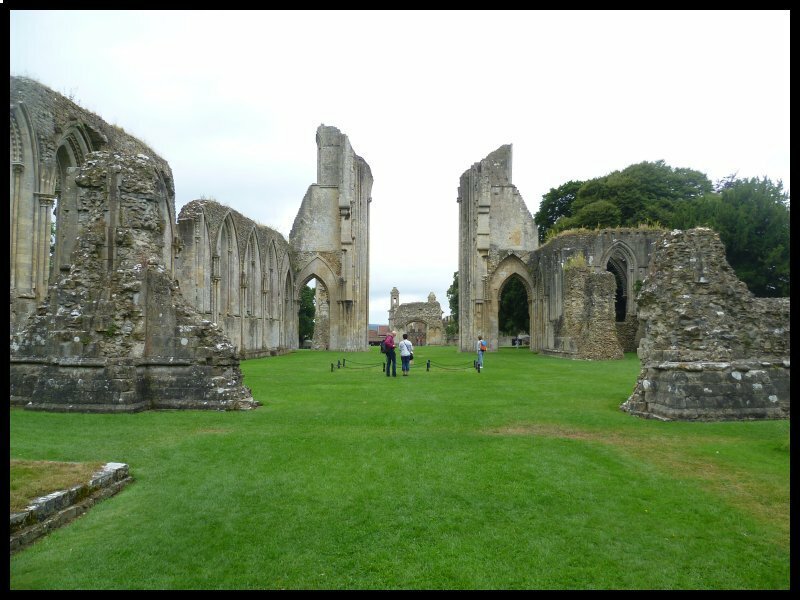 The following year the Abbey was destroyed and the lands sold to Sir Thomas Arundel. about four miles away from Glastonbury. In medieval times Benedictine monks were not allowed to eat meat – the Rule of Saint Benedict forbade eating the flesh of four footed animals, so a lot of fish and chicken was eaten. Since a constant supply of fish was important, all monasteries had large fish ponds and monks whose responsibility it was to manage the supply. The building at Meare is the only remaining fish house in the country. The monk in charge was high in the hierarchy of the Community and he would have lived in a comfortable style on the upper floor of the house whilst lay-brothers would work at the ponds and on the lower floor preparing fish for processing and drying. Later in the morning I drove to the town and spotted a parking space in the High Street. I reversed into it – at the same time wondering why my rear sensors weren’t alerting me. After I’d locked the car I glanced at the rear bumper. Where the two outer sensors should have been, all that could be seen were two gaping holes with wires hanging out. The Longleat monkeys had made off with them! I made my way to the site of Glastonbury Abbey which in its heyday was one of the richest monastic houses in the country. The Abbot wielded tremendous power in the country and in the early days were appointed from the leading Norman families. Although the church is now a ruin, parts of the Abbot’s house still stands where the Abbot received and entertained the important pilgrims. 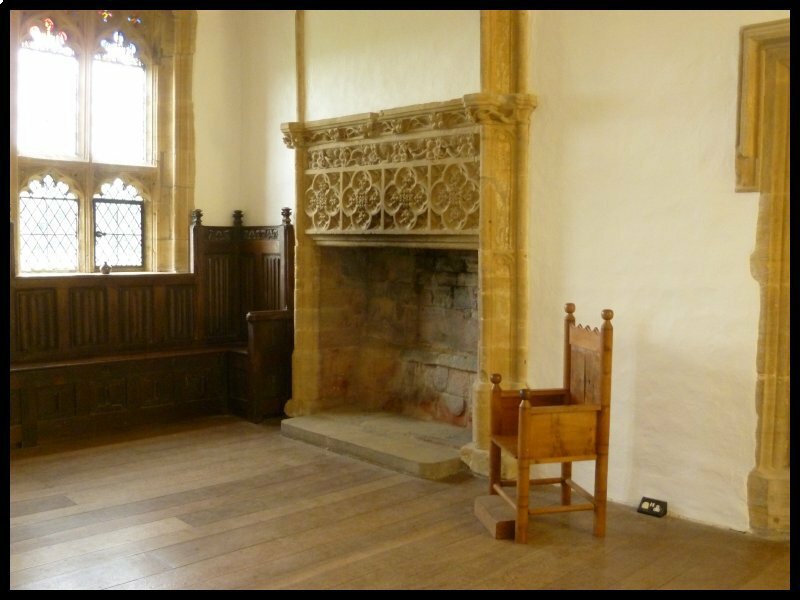 King Henry VII is recorded as having stayed. The Abbot’s kitchen can still be seen with its four cooking fires where meat was prepared for the Abbot’s table. Obviously St. Benedict’s rule didn’t apply here. It was during the period when the Abbey was functioning that the Somerset marshes were drained. In 1538 the then Abbot was presented with the Deed of Surrender which he refused to sign. Nothing would persuade him so trumped up charges of heresy were brought against him. He was found guilty and was taken to nearby Glastonbury Tor where he was hanged, drawn and quartered. The Abbey buildings and lands were sold to John Thynne – of the same family which now owns Longleat. In 1536 before the Dissolution of the Monasteries began there were 800 monastic communities in the Country. Within four years there were none. The Abbots and higher ranking monks were bought off with substantial pensions but the majority of the communities, including the lay brothers and sisters were turned out to fend for themselves. It’s estimated that there were 15000 ex-monks and nuns turned out to roam the countryside to beg and fend for themselves. At the same time the wars with Continental Countries had produced large numbers of injured soldiers and sailors, and they too added to a growing band of homeless beggars. And with all the monasteries gone, so had the hospitals. But even for people with work and shelter, they were dangerous times in which to live. Protestant and Catholic factions plotted against each other with Henry constantly veering from one side to the other. Charges of heresy were common so that it was wise not to voice an opinion. In 1546 Anne Askew, a 23 year old girl was charged with heresy. In their endeavours to get her to retract she was taken to the Tower of London and tortured. She refused, and weeks later with her limbs so dislocated, she was tied to a chair where in Smithfield Market she was burnt to death as a heretic. The crime for which she died was to write that the bread used in the Sacrament, even after being blessed by the priest, remained just an ordinary piece of bread. rather than the West End of the Cathedral. Eventually I arrived and found my way in. I never cease to wonder at how the masons were able to build to such soaring heights with basic tools and equipment. Unfortunately the dullness of the day didn’t show off the exterior views too well to the camera. From Wells I drove to Farleigh Hungerford where I wanted to see the Castle built by Sir Thomas Hungerford in 1383. It was originally built as a fortified manor house with later barbican walls and towers added. One tower is known as the Lady Tower where it is said Sir Walter Hungerford III imprisoned his wife. 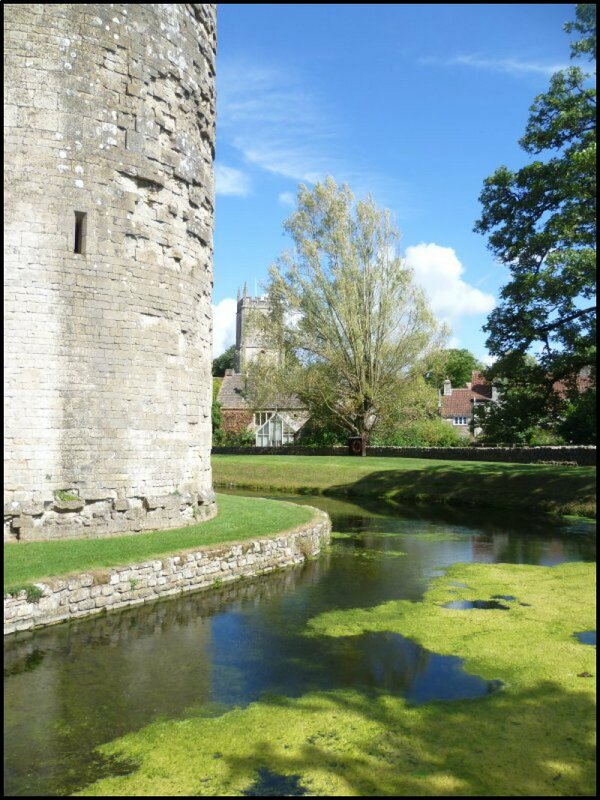 From Hungerford it wasn’t too far to Nunney where one of Edward III knights, John de la Mare having served the king well in France was granted a licence to build a small castle. 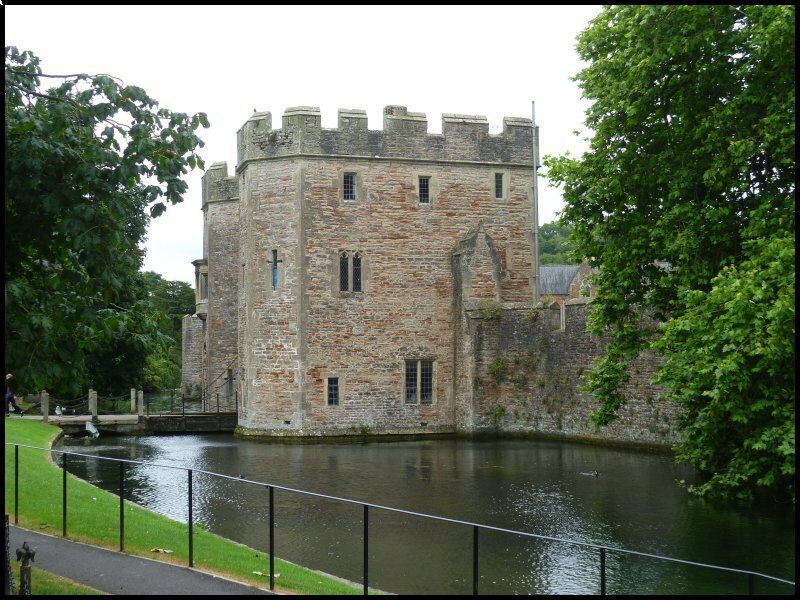 It was built on an island and approached by drawbridge over a moat. This was my last day today and the sky was looking quite overcast. But I had the day planned so I set off on the seven mile drive to Sherbourne to see the Old Castle – as opposed to the New which is still lived in. The old castle was built in the 13th Century as the residence of the Bishop of Salisbury. During the Middle Ages bishops were also fighting men and they went to war with the King. They were not allowed to spill blood so their favourite weapon was the mace with which they bludgeoned the enemy to death. In 1592 Queen Elizabeth persuaded the church to relinquish the estate and she granted Sir Walter Raleigh the lease for 99 years. The six, having had their pay cut three times, were having to pay their rents and feed their families on six shillings a week. They gathered together, swore an oath of secrecy and began to plan their protest. When their local squire and land-owner heard about it, he sought to stamp out any protest. He incorrectly charged the men with the navy crime of mutiny, and arranged for the trial to be rigged with he himself acting as magistrate and his frightened tenants forming the jury. The verdict was as he had planned and the six were transported. As news of the trial first spread across the County and then the Country, protest groups began to voice their opinions and the working men rose up in support of the Martyrs. A massive demonstration marched through London and an 800,000-strong petition was delivered to Parliament protesting about the sentence. Eventually the verdict was overturned and the six were allowed to return but even so it took more than two years to be brought about. By the time I left the museum the rain had started. I hurried back to my car to consider the rest of my programme. My plan was to drive south to Portland Bill, but instead I had an early lunch. With the rain showing no sign of stopping I abandoned the rest of my drive and decided to return to Yeovil where I found there had been no rain and the sun had been out most of the afternoon. I spent the rest of the day preparing for my journey home.